The Barbados YMCA which is now celebrating its 135th Anniversary, announced the election of Mr. Antonio Elcock as the new President. Mr. Elcock who was elected at the Board of Directors Meeting on 9th September, 2015 replaces Mr. Antony Cave who now serves as Immediate Past President. Other Board members elected are Mr. Clenell Goodman 1st VP; Mr. Emerald Holder 2nd VP; Ms. Veona Maloney Hon Secretary; Mrs. Joy-Ann Bascombe Treasurer; Mr. John Odle; Mr. Orville Durant GCM, LVO; Mr. Grantley Watson GCM; Ms. Moreen Hoyte; Mr Ralph Watson; Mr. Orson Simpson; Mr. Kyle Ward; Mr. Edmond Bradshaw; Ms Jonlyn Harewood; Mr Adrian Padmore. ; Mr William Layne. Honourary members are Sir Allan Fields and Mr Anthony Pickering. The new President is a Professional Engineer and Past President of the Barbados Association of Professional Engineers and has over 25 years in the Engineering and Contracting Services both in Barbados St. Vincent Guyana and Montserrat. 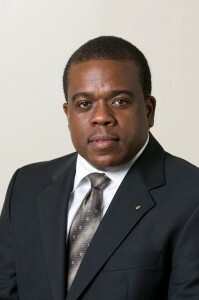 He is the Managing Director of Everson R. Elcock & Co. Ltd., a position he has held since 2002. Mr. Elcock is a Combermerian and has served on the Board of the YMCA since 2010 sitting on varying committees during the period. Barbados YMCA:-The Barbados YMCA was established in 1880 and is the oldest Association in the Latin America and Caribbean Alliance of YMCAs of which it is a member. It has as its objective the development of the physical, social, intellectual and spiritual well-being of the youth of Barbados. The legacy of this organization is one of service to the more vulnerable groups in society and its work is needed now more than ever for the benefit of our youth. The YMCA’s great value is in its inculcation of positive values alongside the physical and intellectual training and development. Currently the YMCA accommodates several social programmes at its Bridgetown location such as Football, Cricket, Basketball, Field Hockey, Billiards and Dancing and provides space for a Day Care Centre. Vocational programmes are also currently provided. The Patron of the Organization is His Excellency Sir Elliott F. Belgrave KCMG Governor General of Barbados.